Fear not math, fear God. Whoever walks in integrity walks securely, but whoever takes crooked paths will be found out. —Proverbs 10:9. 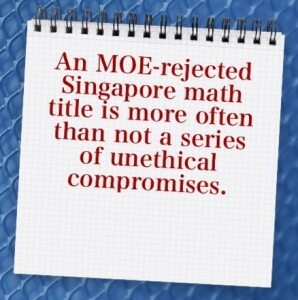 The sins of Singapore’s educational math publishing by unscrupulous personnel of all sizes and shapes are pretty known in the industry, but the aftermath of their unethical practices are less commonly discussed in the open. Let’s look at a number of these unspoken consequences that affect publishers or editorial staff for taking crooked paths in trying to be a Who’s Who in local educational publishing. One of the first signs on the veracity of the above biblical verse in Singapore’s educational publishing industry is the rejection of manuscripts submitted to the Singapore’s Ministry of Education (MOE). Local or foreign publishers’ titles are rejected, in spite of the companies having a larger editorial team and a bigger bank account, as compared to the smaller, nimble family-owned competitors—which may not necessarily be less unethical, though. Many reasons are understandably being conjectured by the top management as to why the MOE had rejected their “decent” manuscripts; yet, it doesn’t require someone with many years of publishing experience to “see” why their titles didn’t deserve a stamp of approval. Another common sign is getting a book approved by the MOE, but the adoption rate of the title is disappointingly low. The publisher reluctantly has to fulfill its obligation as part of its agreement with the MOE to come up with teachers’ resources, as part of the package promised by the publisher to adopting schools. Indeed, an approval with a low adoption figure is more often a curse than a blessing—the publisher has little choice but to spend money in developing the teachers’ resources, often at a loss, especially when editorial manpower could be better utilized to publishing more profitable titles. An unhealthy number of mistakes and errors continue to plague the publisher and its editorial team, in spite of securing a decent adoption rate, and often long after the book has been used by thousands of students and dozens of teachers for a few years. From typos to editorial blunders to conceptual faux pas, these editorial ills never cease to haunt editors and their managers—and to continually stress the authors. Editorial staff are unheal thily stressed, as they’re constantly looking for opportunities to get promoted to their next level of incompetency to cover up their present editorial ineptitude. The hardworking skilled editors infrequently get appreciated and promoted, while the office politicians-bosses never stopped conniving or scheming to go further up the publishing ladder. Indeed, authors and writers often selfishly feel that this is a less unsatisfactory publishing deal, where these bogus senior editorial staff are least likely to cause conceptual damage to their manuscripts—in authors’ eyes, seniors mismanaging editors is deemed to be a less “undesirable exercise” than allowing them to mutilating their manuscripts. That nagging sense of job insecurity, and the poor sales figures as a result of low school adoption rates, both locally and overseas, are never off the mind of the insecure or unethical editorial staff. What if we have to print out a few errata pages? What if teachers or parents complain about my poor command of the English language, or editorial or/and conceptual blunders? The list of rational (and irrational) fears haunting editors and their editorially naked managers doesn’t end even after the book might have garnered a decent adoption rate in the first year of use. Those of us, writers or/and editors, who have been in the publishing industry (or involved in the writing game) for a while know too well that often times, the management moves from one level of hell to a seemingly less fiery one, to avoid being caught for unethical practices and faux editorial skills, even for a short period of time. Most manage to flee before the house is set on fire, while a few unlucky [often the less unethical] ones are too focused on their work to smell any smoke in their midst—they’re eventually either forced to leave or fired based on some lame top managerial excuses. Pseudo senior editors, managing editors, and publishing managers are notoriously known to recruit editors who are as incompetent as them, or less so. 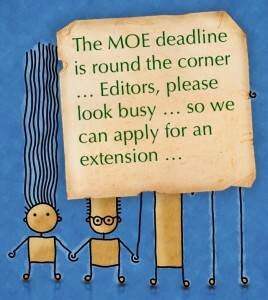 Because of their poor publishing experience and their inability to recruit or spot decent editorial talent, it’s common practice for these senior staff to ritually apply for an extension of MOE deadlines. Moreover, it’s also not uncommon for semi-competent editors and their managers to resign in the heat of deadlines to join a competitor for a senior position, albeit they’re well aware that they’d be working under even more unscrupulous bosses, or ill-equipped to handle the new half-edited assignments. The management find themselves editorially helpless, as they feel hijacked by their half-baked editors; and they’re always extinguishing more and bigger fires—most have little or poor understanding on the timeframe or difficulty of the editorial process: from receiving and reviewing authors’ manuscripts to editing and rewriting them; from typesetting and printing them to marketing and promoting the promo copies to school teachers. 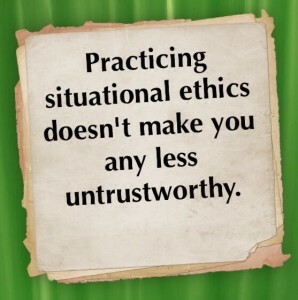 Since I joined educational publishing in the new millennium, the one thing that hasn’t changed over the one-and-half decades is the lack of ethical practices in the industry. Writers and authors, especially the new ones, continue to be taken advantage of by unscrupulous publishers. It looks like Singapore is stuck to remaining a third-class educational publishing industry in a first-class economy for some time. While our students’ and teachers’ mathematical standards have risen over the last two decades (assuming we do have some faith in TIMSS and PISA scores), our unethical index in educational publishing has remained disturbingly constant, if not worsened, if the rising number of legal cases between authors and publishers would serve as some gauge in revealing the unethical climate permeating the educational publishing landscape in Singapore. This entry was posted in Math Editing, Math Textbook, Math Writing, Singapore Math, Singapore Publishing and tagged cheating, dishonesty, editorial ineptitude, ethics, integrity, Job insecurity, lying, math publishing, mismanagement, MOE contract, MOE rejected manuscripts, Peter's Principle, publishing ills, publishing knowhow, publishing lawsuit, publishing sins, scheming, Singapore math textbook, Singapore publishing, situational ethics, teachers' resources, third-class publishing industry, unethical practices on April 10, 2015 by Yan Kow Cheong. The new Singapore MOE-approved math textbook for grades 9-11 students—a popular trigonometry-and-calculus title suitable for Commonwealth countries offering Additional Math. Senior and managing editors in local publishing houses have always lamented how hard it is to recruit decent mathematics editors, because CV’s and interviews often fail to filter the good from the mediocre candidates. On the other hand, few senior editorial staff dare to look in the mirror to see whether they themselves have what it takes to mentor or guide their editors. There is a Chinese or Japanese saying that says: “An editor shames her managing editor.” The less-than-desired-quality of a published math book often reveals much about the competency of those behind its production. Many years ago, I suggested administering a quantitative test to shortlist potential math editors interested in making publishing a career, in the hope that this may help reduce the relatively high attrition or casualty rate in the industry. Below is a sample of questions we may pose to applicants keen on becoming word doctors in charge of mathematics titles, up to pre-university level. Net price is the price after 40% discounts to the bookstore. (a) Which publisher should she choose? (b) Another writer wants to know what percentage of the net price from Publisher B would yield a royalty equal to the published price from Publisher A. What percentage will this be? Which publisher gives a better deal? 3. Due to the many errors in a geometry book, a printer had to replace pages 28, 29, 109, 130, and 131. How many sheets of paper did the editor have to reprint? 4. Mathematics Digest, which has a special 16-page feature in the middle, is incomplete. The third page of the supplement (page 15 of the newspaper) is missing. What other pages must also be missing? 5. Four pages of one section of a newspaper are missing. One of the missing pages is 13. The back page of this section is 40. What are the other three missing pages? 6. When asked by her editor to add the page numbers of the section on Random Numbers he wrote, Mr. Goon said it was either 216 or 256. Which was it? 7. Ricky tore out several successive pages from an algebra book. The number of the first page he tore was 143, and the number of the last page is written with the same digits in some order. How many pages did Ricky tear out of the book? 8. The middle sheet is removed from a manuscript, handwritten on both sides of the paper. If the two sides are numbered 6 and 7, how long is the script? 9. Pages 6 and 19 are on the same double sheet of paper. How many pages does the newspaper contain? 10. A 60-page newspaper, which consists of only one section, has the sheet with page 7 missing. What other pages are missing? If 75 percent were the passing mark for the above quiz, what would be the probability that half of the applicants who took the test would be shortlisted? How many could be considered a true-blue math editor or senior editor? In recent years, one recurring complaint among seasoned and prospective writers in academia and in schools, keen to write fertile math titles, is that we lack the local expertise or know-how in publishing quality or decent math titles other than locally approved school textbooks and workbooks. In fact, current editorial standards seem to be one or two deviations from the mean, as compared to what they used to be in the nineties. The future of publishing decent math titles other than school textbooks looks uncertain, to say the least, as fewer ex-teachers are joining the publishing industry due to better job opportunities in other industries, where pay and promotion are much more attractive. Besides, there are few role models for novice editors to emulate should they choose to make publishing a career. 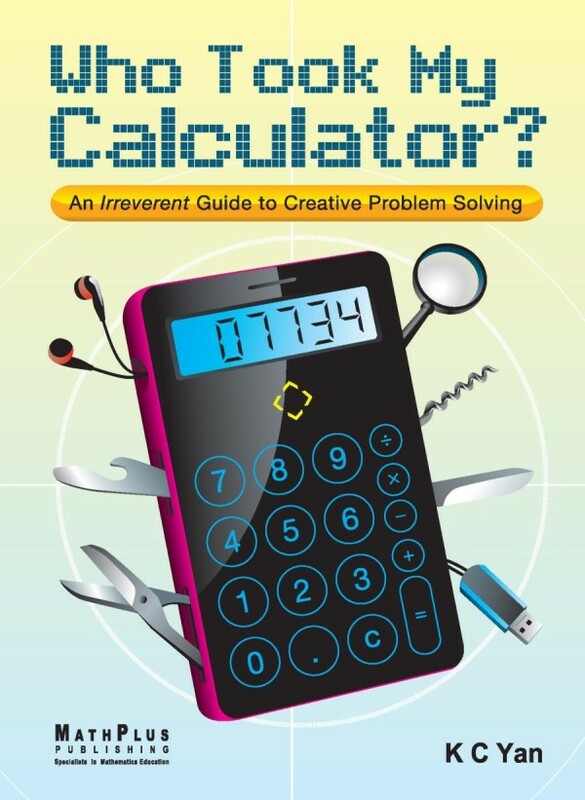 Few math majors, if any, are in charge of math titles these days, and the editorial standards in a number of local small publishing houses (which churn out assessment titles like they’re selling iPhones) leave much to be desired. Across the industry, editors’ weak mastery of math concepts and poor linguistic skills would only aggravate an already-declining editorial quality of math titles. Most proofread instead of edit, or simply take care of the grammar instead of rewrite. In recent years, it isn’t surprising to witness many writers and authors switching to self- or vanity publishing, because few writers and teachers believe that there will be added value to their manuscripts, other than cosmetic improvements, going by the influx of assessment or supplementary titles inundating the local market every year. A common-sensical step in addressing the often-decried “Singapore-has-a-third-class-publishing-industry-in-a-first-class-economy” issue for its educational titles is to bring in better editors on board the editorial ship, or to recruit foreign talents who have worked no fewer than three years in established foreign publishing houses. Because little attention is given to the pay and remuneration, and to the opportunity to upgrade oneself professionally, the dearth of decent [math and science] editors isn’t likely to reverse any time soon. A lack of passion and professionalism seems to be the currency of many editors these days. As Singapore aspires to become a key player in math education publishing, local houses can’t afford to have math editors with an average knowledge of the subject matter and a below-average command of the English language. Having math editors with a mastery of the subject matter and a working fluency of linguistics isn’t an option if the country wants its math titles to graduate from a third- or second-class quality to match its first-class economy. And producing quality math titles other than school textbooks is the first sign or step to position Singapore in becoming an Asian publisher of choice in producing first-class math and math education titles. * This apparent inequality is in line with the recent government’s policy that Singaporeans come first, especially when it comes to providing jobs for locals and foreign residents. © Yan Kow Cheong, May 14, 2013. “The Mathematics of Publishing” previously appeared as “Aptitude Test for Math Editors.” For answers to the above questions, visit Singapore Math. 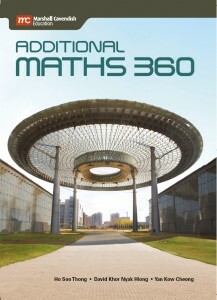 This entry was posted in Math Editing, Math Textbook, Singapore Math, Singapore Publishing and tagged aptitude test, editing, editor, ethics, integrity, interview, math, math editing, math editors, math textbook, publishing, self-publishing, Singapore math, Singapore textbook on May 14, 2013 by Yan Kow Cheong.